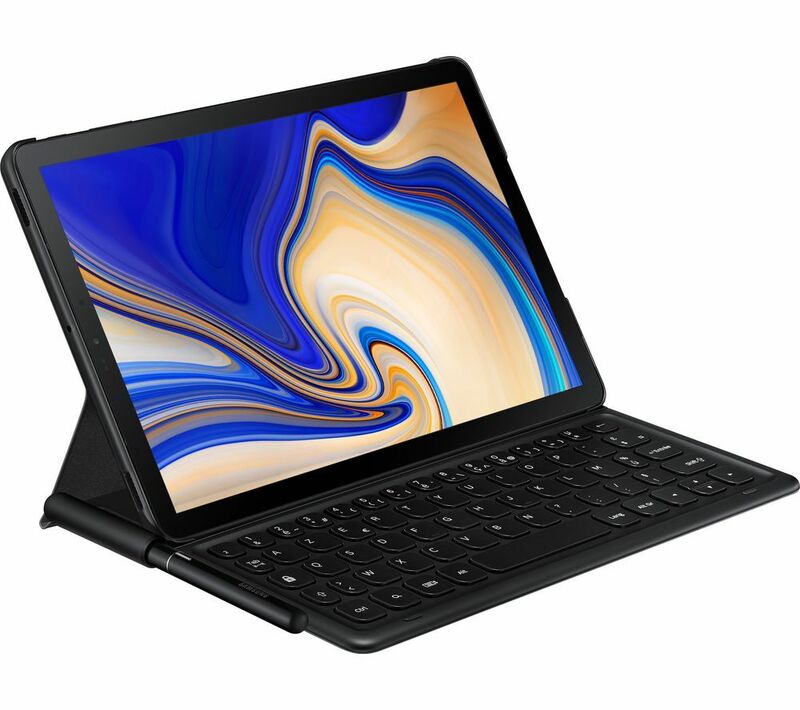 With a stylish case included, the Samsung Galaxy Tab S4 10.5" Tablet & Book Cover Keyboard Folio Bundle can join you on every journey. 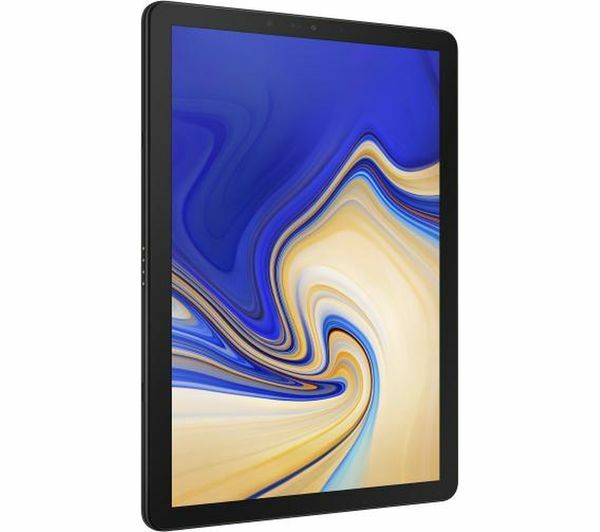 View all your favourite media in stunning clarity on the Samsung Galaxy Tab S4 10.5" Tablet. Its super AMOLED display give movies crisp detail and rich colours, while the slim frame around the screen makes everything look even bigger. It's perfect for watching movies, streaming shows or just scrolling through your daily apps. And when you need to do a bit of work, you'll find the big screen is great for multitasking. Open up multiple apps and windows with no hassle and skip from your creative projects to your social feed in a flash. 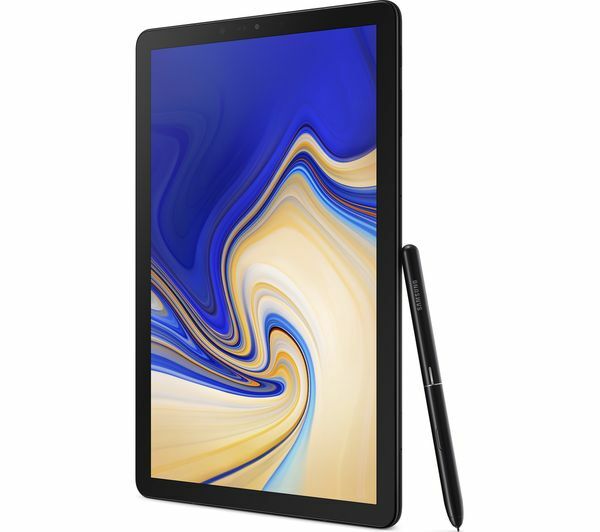 The Samsung Galaxy Tab S4 has quad speakers powered by Dolby Atmos and expertly tuned by the audio specialists at AKG, so you know the sound matches the superb screen. You'll hear all the conversations and all the background touches in clear quality. And as you move the tablet, it adjusts the audio to the correct speaker for you, so you'll always have the best sound. With an octa-core Qualcomm processor and Samsung DeX built-in, the S4 is a powerful tablet that can give you a true desktop-like experience. DeX is designed with a taskbar, support for multiple resizable windows, as well as drag and drop capabilities, you can work exactly as you would on a computer. The dual mode lets you expand the S4 onto a larger monitor by connecting using an HDMI dongle. 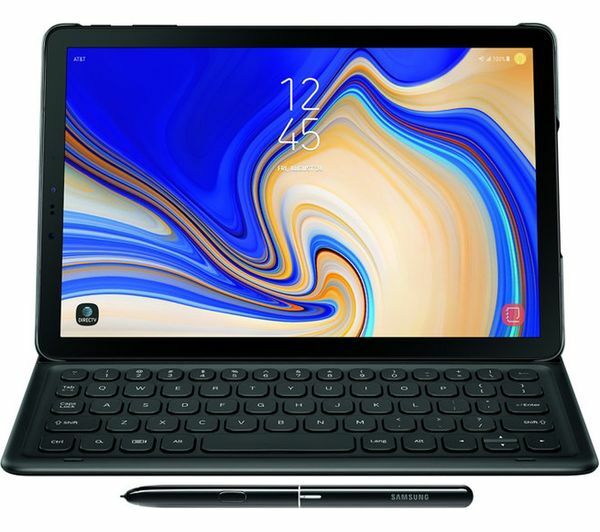 You can use the tablet screen as a keyboard, or use the S-Pen and touchscreen to control your windows. You can expand the memory up to 400 GB, so you can save all your important pictures, music and documents, and the 16 hour battery life helps you to get more done. 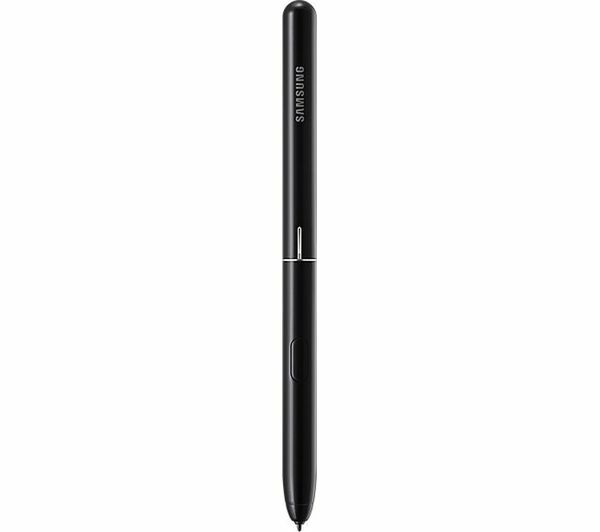 The S4 comes with a redesigned S-Pen that's perfect for drawing or writing. There's no need to charge it, so you can use it wherever and whenever you need to. You can even use it to jot down notes on the blank screen of the S4, perfect when you're in a rush or taking a call. 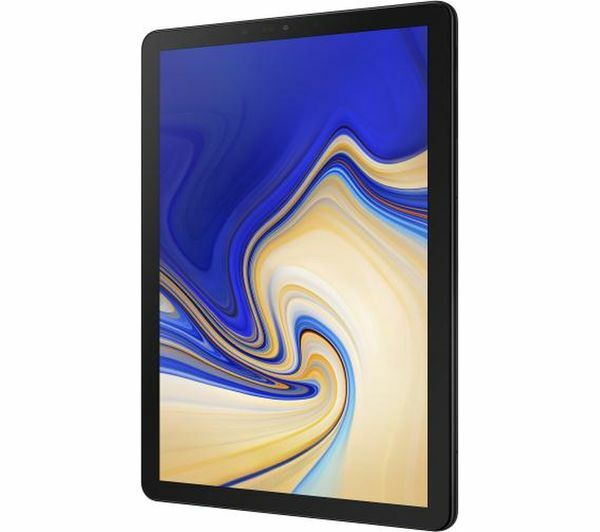 The Tab S4 also works as a single control for your smart home connected devices. Use the SmartThings app to connect to your Samsung TV, fridges, ovens and more. For more everyday uses, check out the Daily Board and set out useful notes for yourself and your family for the week ahead. 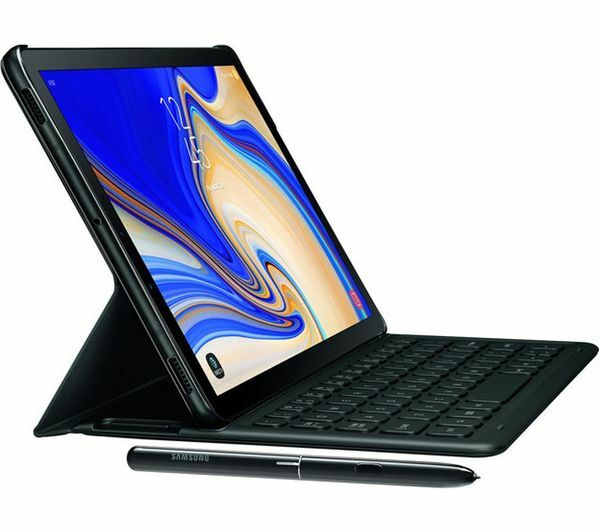 Enhance your Galaxy Tab 4 experience with this Samsung 10.5" Galaxy Tab 4 Book Cover Keyboard Folio. 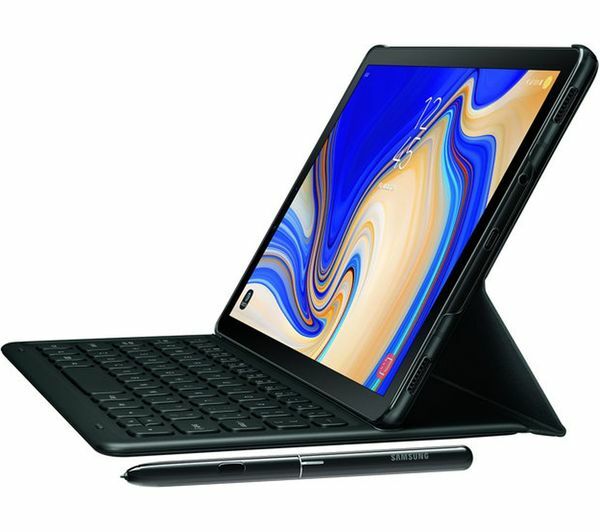 Enjoy desktop-style typing on your tablet with this easy to use folio – it's even got an in-built holder for your S Pen. So hook it up and get typing. More than just a keyboard, the Galaxy Tab 4 Book Cover Keyboard Folio also doubles up as a case for your tablet too. It's got a durable design that protects from bumps and scrapes, and it also has a great cradle feature so you can prop your table up – ideal for when you're watching shows and movies. You can evenconnect it to a mouse and monitor for an even more desktop-like experience. 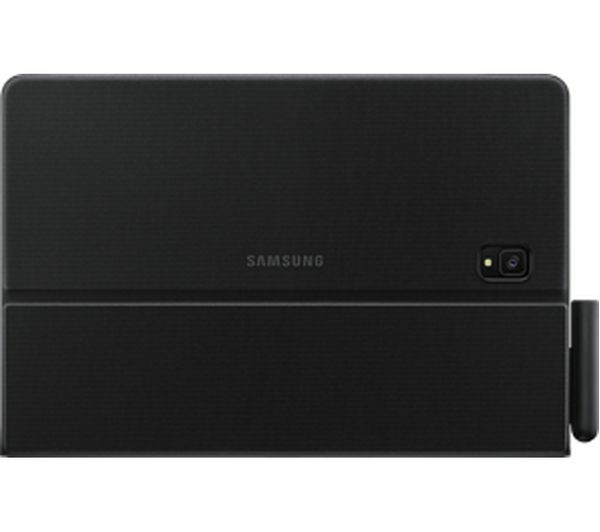 Productivity doesn't have to wait when you have a Galaxy Tab 4 Book Cover Keyboard Folio. The case launches Samsung DeX when you place it on the built-in POGO pin connector on the keyboard.